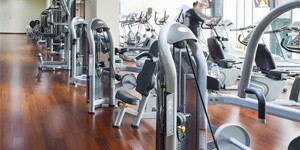 Are you looking for a solution to increase the productivity of your community fitness center or country club? Tops Fitness Management offers expert services and programs which have been proven to drive the membership and retention in addition to improving the overall health of your residents. Providing a world class facility for your members where they will experience an enjoyable and productive time of exercise, and connecting with the community. In addition our team of specialist work closely with your planning department on facility design, management, operation, promotion, and maintenance to ensure all of your goals and standards are met. Your fitness facility will have an undeniable presence in your community through simple, proven, effective, affordable, and customizable packages. WHAT CAN TOPS PROVIDE FOR YOUR FACILITY? Our fitness professionals are highly trained and brought together to create a professional relationship with the residents of your community, giving expert advice, and at the same time providing fun and creative ways to make health and fitness enjoyable and sustainable. Tops Fitness Management staff are trained to keep a warm, welcoming, fun environment for your facility while keeping your standards of excellence in place. We will help you design and setup your facility to better accommodate the needs of your residents. Our expertise in helping various fitness centers allows us to prescribe the right equipment, arrangement, and services to cater to the demands of your market. We will carefully map out a design plan based on your available resources, capabilities, needs, and goals. Tops Fitness Management will manage and complete this process from start to finish leaving you with the time and energy to focus on other aspects of the community. The TOPS difference is that our wellness programs are specific, educational, and results-oriented. Our wide array of offerings focuses in on the individual goals of our residential fitness centers and their customers. Our coaches will guide you through each program and explain how your body works and how to achieve your peak performance. We provide our clients world class service. Our team of experienced coaches, trainers, and health professionals will keep your fitness center running flawlessly with a warm and welcoming environment. At TOPS, we are practitioners and only implement efforts that will improve your facility’s performance. With the increase of fitness establishments and options, we will ensure that your residential or community fitness center stays on top. We will help you form business strategies through regular and careful study of your customers’ profile, involvement, and participation. With TOPS, we will help you understand your market and provide the best solution for further improvement and increased performance of your community fitness center. More than just business, TOPS has sincere dedication in minimizing its effect to the environment. We will implement these strategies without compromising the performance of your facility. The nature-friendly products we use have been proven to be effective and affordable.